With a single decision to make it happen. Do you know a couple that never got around to taking a honeymoon because they just didn’t have time? Or someone who mentions a place they have always wanted to visit, but has yet to make it happen? It might even be you, and you’re waiting for the “right” time. The ” right” time to travel is a myth. When I was in my twenties, a good friend called off her wedding. She was hurt and embarrassed and mentioned repeatedly she did not know how she would handle that day. While I was at work, on a whim I looked at airfare to Paris, found it very affordable, and booked us a long weekend the dates she would have been getting married. I surprised her with our new plan after work, having already booked the trip. She was delighted, another friend joined us, and we honestly had one of the most crazy-wonderful times of our lives. We just made it happen, which relatively easy at that time because we were single and had been planning for the wedding. The following year we spend a long weekend in Jamaica, and another year ventured to London for a few days. I’ve been thinking about making travel happen lately, as I’m recently back from an incredible trip. I spent 10 days traveling in Europe with a friend. No spouse, no kids, just two friends with 2 backpacks. It’s something I’d always hoped to do, but I never seemed to find the time or money for such a trip now that I have a family. 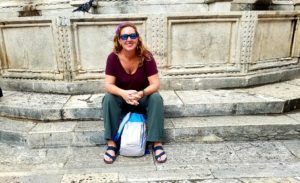 Our travel has mostly been to visit family or kid-friendly destinations, and my feet had been itching for years to backpack through a few countries. And then, in a blink of an eye, I found myself turning dangerously close to 50 years old. So when my friend Kamlyn moved to Italy for a 3-year stint and suggested I visit, I said “Yes” and decided to make it happen. I started tracking a few airfares to get a sense of the cost, and found the same flight could vary by as much as $900! I wrote “Italy” on an envelope, and started saving a few dollars here and there. I signed up for some rebate apps, putting the money in the envelope, and sold a few things, adding to my Italy fund. We were both flexible when this trip should happen, and wanted to avoid the summer heat, so when an October flight dipped in price, I booked and the trip became real. 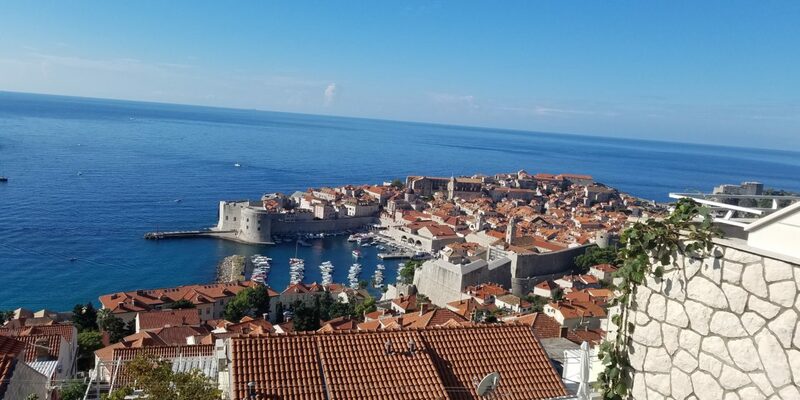 We started looking at places she wanted to visit (Vienna, Austria) and I wanted to visit (Dubrovnik, Croatia) and figured out how to make it happen. Early on, it became apparent that traveling light would be the way to go. You can find very inexpensive flights between European cities if you carry on, and we knew we’d be walking a lot and would not want to deal with suitcases. This was a serious challenge for me and I spent a great deal of thought about what to bring. I bought some packing cubes, figured out a few outfits that air-dry overnight and could be layered for cool weather. I tested a number of shoes, settling on 2 lightweight pairs. I streamlined my beauty products in a big way. 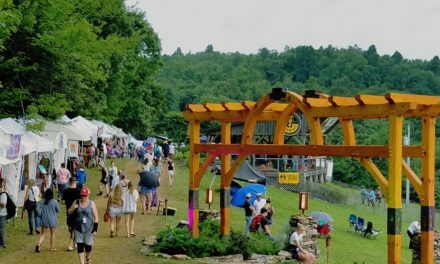 A frequent traveler I met at FloydFest had suggested Dr. Bronner’s Peppermint Castile soap as the perfect travel product, and she was right- I carried a travel-size bottle and used it to wash my face, body, hair, clothes, shave, and even brush my teeth! We started and ended our trip in Venice, Italy. The matching striped shirts were just a fun coincidence! We agreed we are past the age where hostels and hotels with shared bathrooms appeal to us, but we found safe, clean budget accommodations including some apartment rentals. 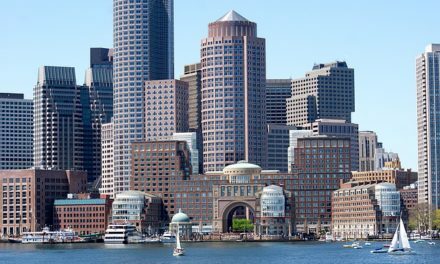 We left our plans very loose to allow us to simply explore in a relaxed manner, and relied on bus or walking tours to provide an overview of a city and used public transportation almost everywhere. It was very different than how we might have planned a European trip had we brought our children, and I did very little research. Yet somehow, the travel Gods rewarded us! Art exhibits including our favorite artists appeared in our path, the rainy forecast cleared up and allowed us to walk all day comfortably. We explored beautiful cities filled with gorgeous architecture. We visited multiple museums, popping in some for minutes, others for hours. We visited over a dozen cathedrals, and I lit a candle at each one. We sat in cafes enjoying delicious coffee again and again and marveled at how trim and well-dressed Europeans are while we chatted about everything from A to Z. Kamlyn is fascinating and full of great stories and it was such a treat to spend so much time with her. Look what happened to on display be at the MUMOK in Vienna, Austria. That’s my jam! 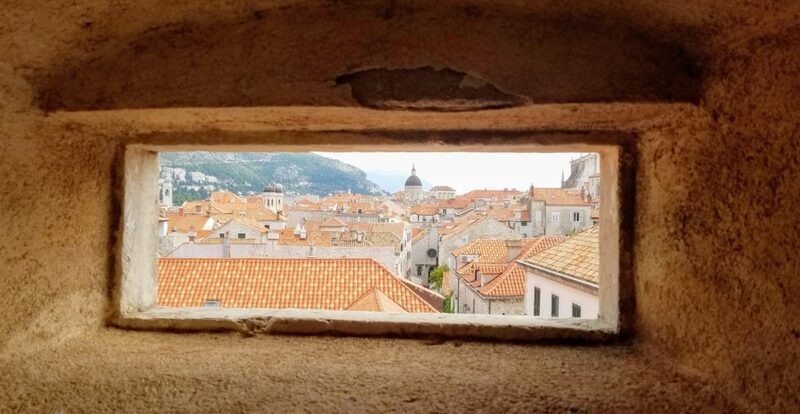 We leisurely walked the walls that surround the city of Dubrovnik. One afternoon we sat and watched where the ocean met the mountains in Croatia for literally hours, because we both agreed there was nothing more beautiful we could find than that view. The next day we returned to that same spot and did it again. 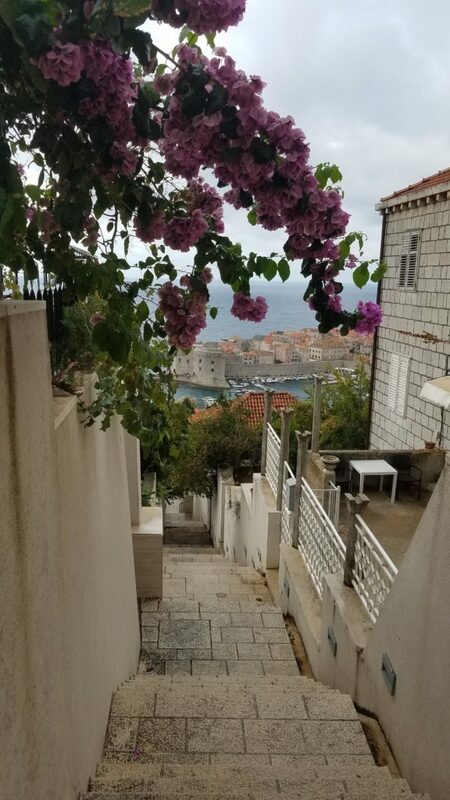 Our accommodations in Dubrovnik, Croatia included an amazing view, but we earned it with hundreds of stairs. In all, we visited 4 countries, walking an average of 7 miles per day. We never set an alarm clock, made reservations, nor had anyplace we needed to be other than flights. I left my computer at home for the first time in 8 years. I was on social media channels a mere fraction of time I normally am. It was 10 days of looking at beautiful everything, enjoying just being able to explore. 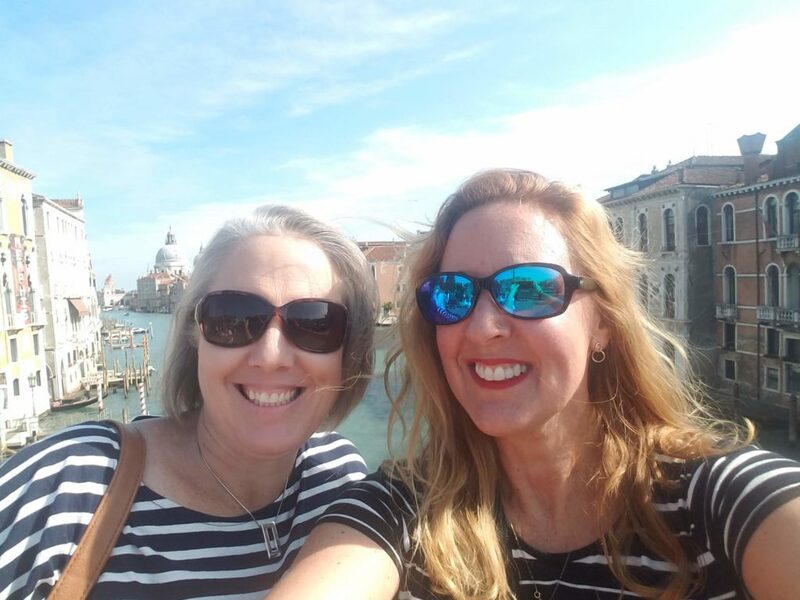 And on the 11th day, my friend and I parted in Venice, as she worked her way back to Vincenza, and I headed home to the states, so appreciative of the amazing experience we had just enjoyed. I’ll never travel the same way again. I had packed less than half of what I normally do for weekend trips, and even with just a backpack, I was surprised to find I had more than I needed. 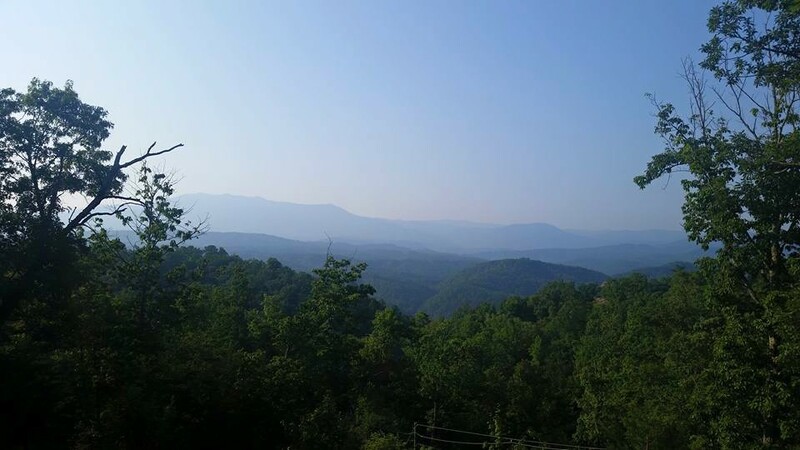 I returned refreshed and filled with a sense of contentment I’ve not felt in years. It was more than just seeing 4 new nations on my bucket list, it was making this trip happen. Several issues had threatened the trip, but I was committed. There will always be challenges and bills that make you wonder if “now” is a good time to “splurge” on travel, and know they will be waiting for you when you return. I feel empowered by the fact that we made it happen simply by saying “let’s go”, and we stuck to our decision. 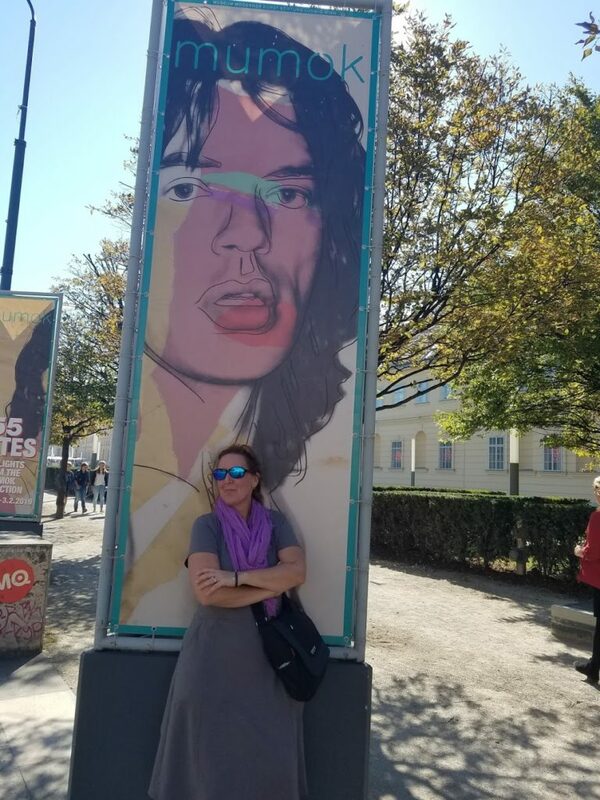 I’m happy that our children saw how important we feel it is to see the world, and that even middle-aged moms can- and should- go have an adventure if it calls to them. Have your feet been itching? 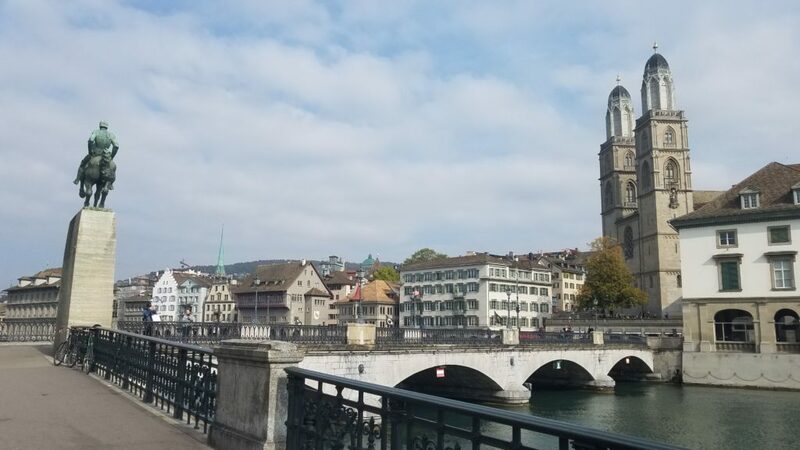 Zurich, Switzerland is a beautiful city to explore by foot. About the author: Jennifer Chasse is a fan of small biz success & waking up someplace new. She encourages you to start your own envelope that says ” travel” and go explore someplace that calls to you. Follow her on Instagram at TheJenniferChasse and Twitter @JenniferChasse.